Some of Dad's Favorite foods! 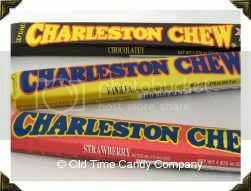 Any flavor, it didn't matter...and I have to admit, they are darn good! He would down his and ask for a bite of someone elses. He took the hugest bites! Awww Dad! I love it! Coconut Cream Pies! You couldn't keep one of these in the fridge. If Dad knew it was there, it was GONE. 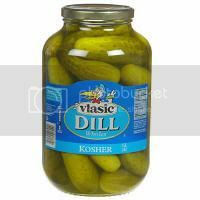 Mom says Dad would eat all but one pickle and put it back in the fridge. That is funny to me! I miss all the funny things he did. His personality made everyone not think so much and just have fun. Some people like to eat popcorn while watching t.v., well Dad liked to get out the raw noodles and munch on those during a show....You couldn't hear a thing. I love that he did that...it too makes me laugh. There are many things he loved to eat.... anything Mom made! He would hoover around her in the kitchen and sampled most of his meal right out of the pan. Tonight has been a year without him here with us. It doesn't seem like it has been that long & it still doesn't seem like he is gone! Alot of our family is here, visiting over the weekend. Tonight we will have dinner together. We will eat alot of his favorite foods and tell stories about Dad. We ALL Love You DAD!